The recent burst of sunshine we’ve experienced in Melbourne has made me long for light, fresh meals and this baked tofu vermicelli salad was just the ticket! Full of colour, texture and flavour, it’s ready in no time and super healthy, not to mention delicious! It’s my new favourite lunch option and despite being on been on high rotation here at ISPP HQ I’m not even close to being sick of it! I’m so glad I managed to keep some of my herbs going over the winter months as there’s nothing better than popping out onto my balcony to collect up herbs for a salad like this – the smell of freshly picked herbs is hard to beat! I’m already dreaming of Spring and Summer produce that is to come – hopefully I can get another delicious crop of tomatoes! 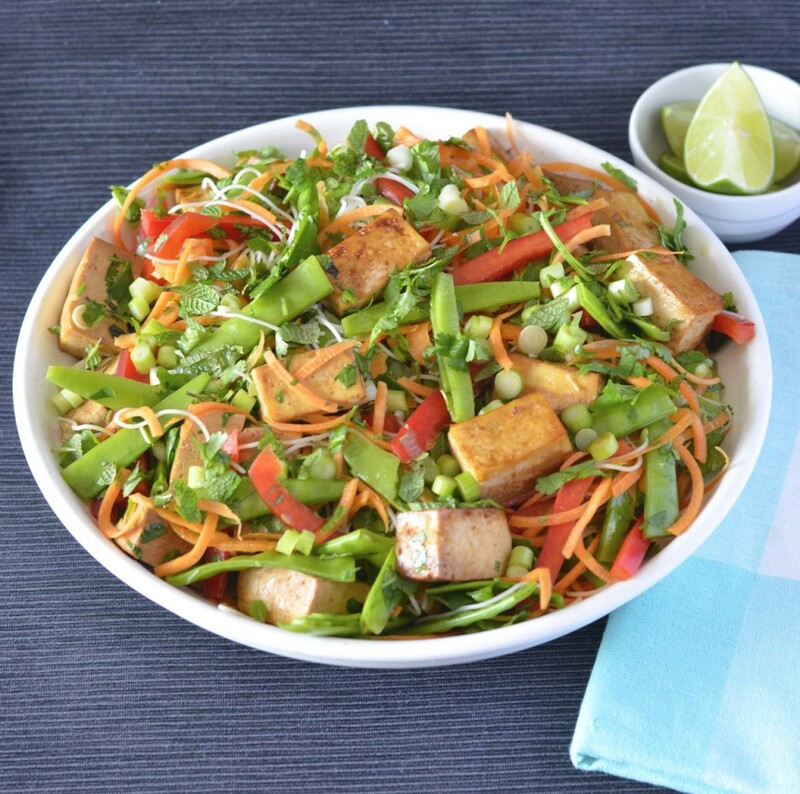 Anyway, enough dreaming of sunshine, let’s jump straight to the recipe for my baked tofu vermicelli salad! Easy as that! 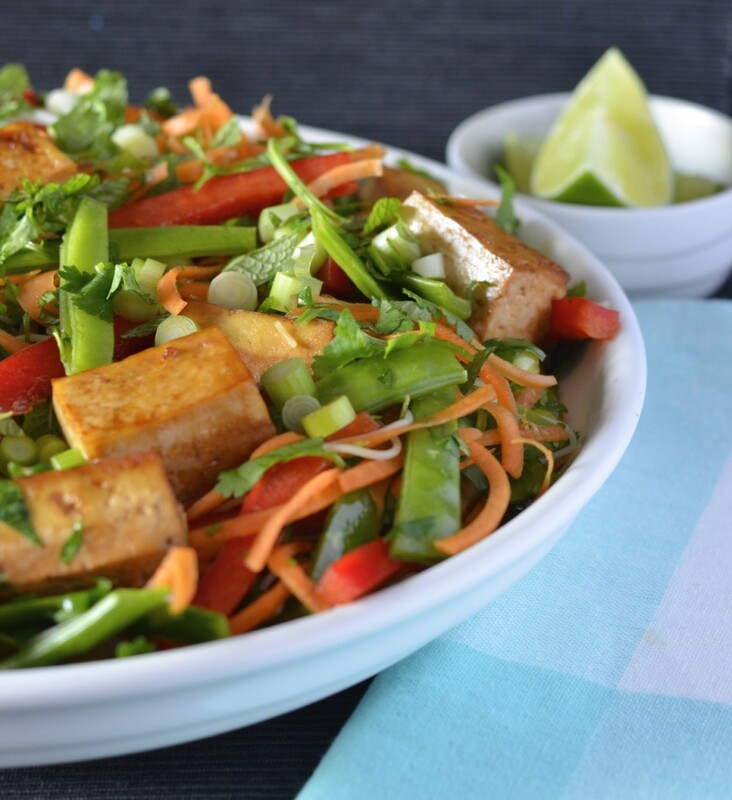 The tofu has a really delicious mix of sweet and salty flavours, with a little kick of chilli thrown into the mix which I love, and combined with the crunchy veggies and fresh herbs this salad is so much more than the sum of its parts. It tastes just as delicious the next day, although I would leave the herbs out until you’re ready to serve it to stop them from getting limp. 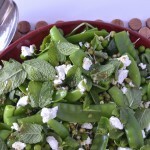 I have a feeling this may become my go-to salad for BBQs and potlucks over the coming months – bring on the sunshine! What are you looking forward to eating in the warmer weather? 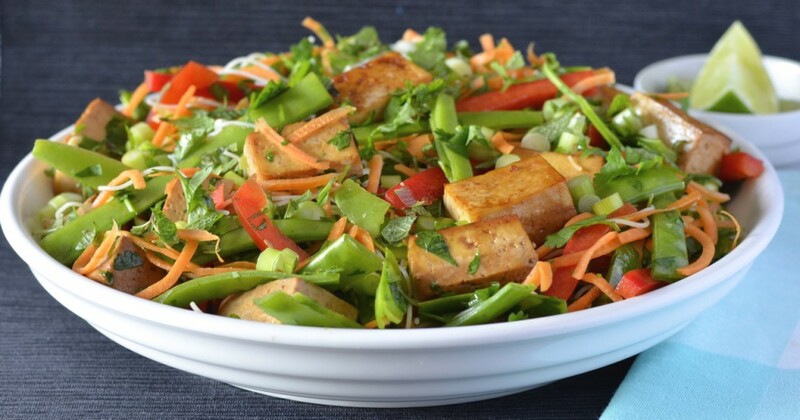 Maybe my baked tofu vermicelli salad could go on the list? Yay! I’m so happy it’s salad season again! Woo hoo! I’ll be trying this one for sure! it looks great thanks liz! It takes on a great texture when baked, so I recommend giving it a try! Let’s hope there are lots of sunny days on the way! 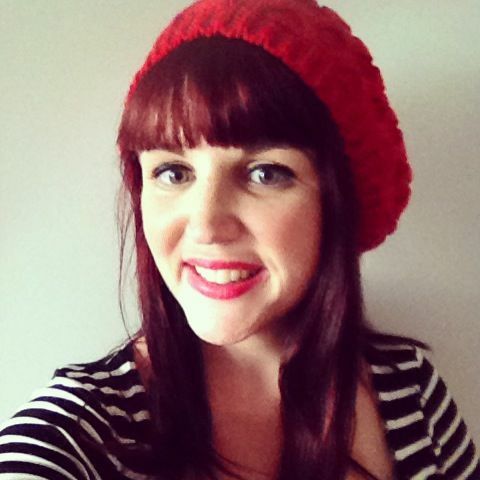 Maxabella recently posted…Is parenting really only good in hindsight? 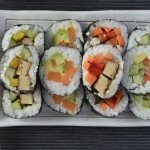 Looks delightfully fresh and healthy and also satisfying. I might have to make something similar sometime soon! Can’t beat fresh and healthy food at this time of year in my books! Bookmarking. Looks perfect for Spring dinners- so fresh and colourful! Thanks Em, I hope you love it! Thanks Kathryn! Good idea to get in as many salads as possible before it gets too cold! I love hitting on a super combo like this that you can just eat over and over again and not get sick of. Great job! 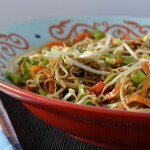 Liz this looks so deliciously refreshing and I absolutely love vermicelli noodles so will be adding this little number to my salad collection. My herbs are going pretty good at the moment too although I haven’t been able to nail growing coriander as yet, must get some more o try. I’ve had mixed results with coriander, it either goes nuts and I can’t keep up or it just dies inexplicably seemingly overnight! I’ve just put some more in so fingers crossed it’s the first result this time because I love it!